Barbados is home to many extremely talented craft persons including potters, weavers, painters and batik artists. Their products are available for sale across the island. 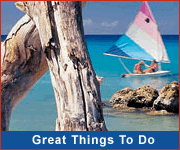 Pelican Village is an amazing collection of local art and crafts stores. 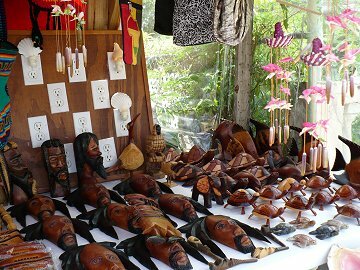 Located in the capital city of Bridgetown, Pelican Village features an array of crafts including woodwork, metalwork, fine art, straw products, local food and drink and jewellery. 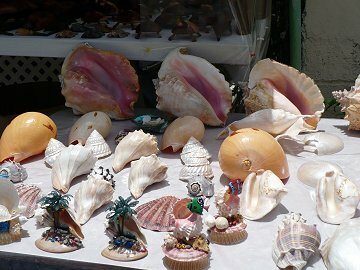 Be sure to visit Pelican Village during your Barbados vacation to pick up souvenirs and gifts. Medford Mahogany Craft World is another wonderful place to visit and purchase genuine Barbados craft work. These amazing artists craft mahogany wood into a spectacular array of functional and decorative wooden art. Across the island you'll see colorful Best of Barbados gift shops. 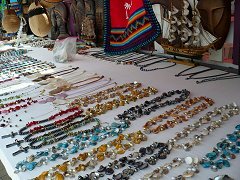 Here you can purchase local craft, gifts and art in a wide range including clothing, houseware, books, jewellery, ornaments, music, and more! Barbados excels at pottery and offers visitors the chance to not only purchase quality pottery work but also an opportunity to meet with the potters and learn some of their secrets.